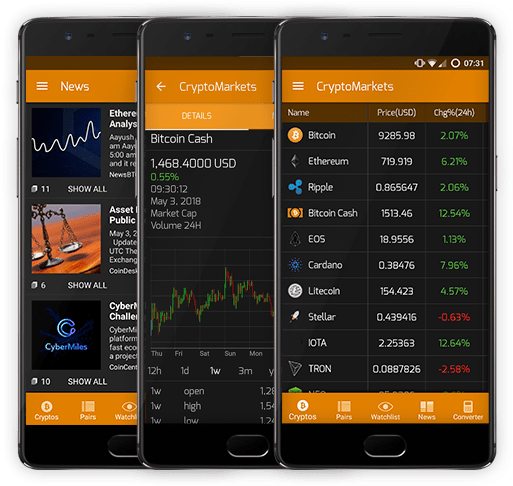 CryptoMarkets App by TeleTrader - get free crypto real-time prices! 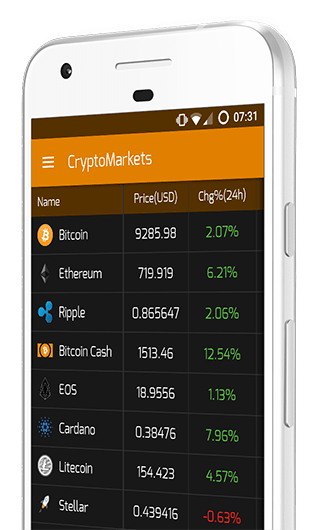 CryptoMarkets app by TeleTrader provides you with real-time price data from all major cryptocurrency exchanges in the world. View all the top coins and tokens by market capitalisation, add your favorites to the customizable watchlist and view it in the practical widget on your home screen. Plus: get the latest crypto news from all important sources directly in the app! View real-time prices for 200+ cryptocurrencies on 20+ exchanges. See all prices in USD and Bitcoin on one page ranked by market capitalization. Get the latest version of the free ap. No ads. No registration required. We love to hear your feedback und suggestions for improvement!